Though it varies by industry, IT spend represents a significant percent of revenue for virtually all businesses and the majority of that spend is for maintenance of softwares and websites. Maintenance keeps the lights on in every organization, but it also represents the enhancements and improvements to existing software that provide the competitive edge needed to stay ahead and succeed in any industry. Our Technical Support team can troubleshoot and offer solutions for workflow issues specific to your workplace. They can guide you through a variety of time-saving techniques. Our Services are designed to help you focus on your core business activities whereas we take care of your maintenance needs – be it application enhancements, routine maintenance/ bug fixes or production support. Combination of our quality focus and offshore based operations can provide huge savings in your IT budgets, and at the same time improve software quality and maintain high service levels. Fast – we are available to you via email or phone for taking your requests. We have a commitment to a two business day turnaround on any task two hours or less, and we usually get those tasks done same day. Proactive – we don’t wait for failures. We actively monitor your site and applications for updates, uptime and backups. 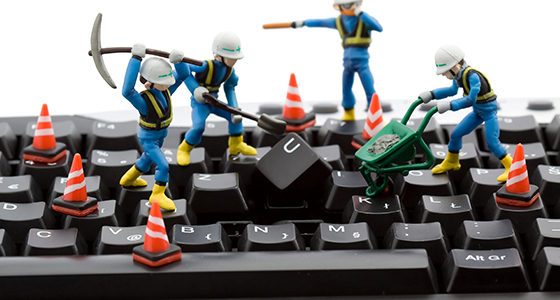 We own the technical preventative maintenance needed for a high quality experience for your users. Knowledgeable – we hire technically skilled and proven web developers. We’ve vetted out all of our staff so that you don’t have to worry about the level of knowledge or capability. To add to that, we have a deep bench of expertise. Accountable – we treat your time like the money it is and carefully tend to it. Bankable hours, online ticketing system, time tracking system and easy terms make GS TECKNO highly accountable for your investment.